When you have low or limited income and wish to save money, then you must have an excellent saving plan. 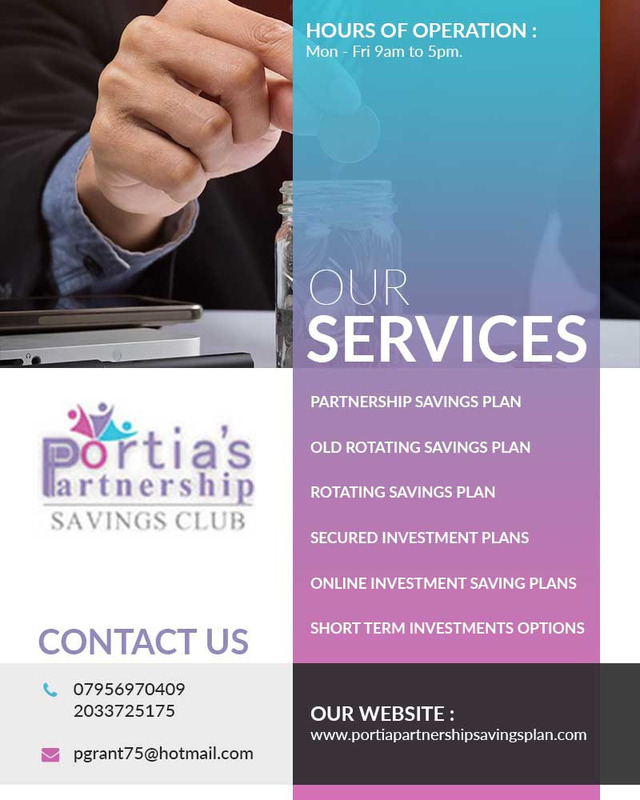 Portia Partnership Savings Plan is the first commercial partner firm based in UK which is offering assistance to the families with low income in making useful and lucrative Partnership Savings Plan for a better and financially secured future. Our services are available in various cities including London, Lutan, and Manchester. Short term investment options are offered to the clients as a part of the best Online Investment Saving Plans available in the market. Apart from that we offer saving services, Loan services, Credit services, Health & Wellbeing services, etc. as per the clients’ financial needs. Method of Payments: Bank transfer. Hours of operation: Mon - Fri 9 AM to 5 PM.